Heavy Metal Extra fishing line weight offers a vastly improved alternative to lead shot. 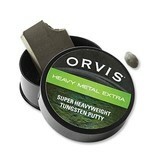 Due to its incredible content of tungsten, its weight is comparable to lead, but completely safe and non-toxic. As it warms up it becomes softer. As it cools down it reverts back to its original hardness. Once it has softened to the consistency of chewing gum mold it around your line to your required shape. 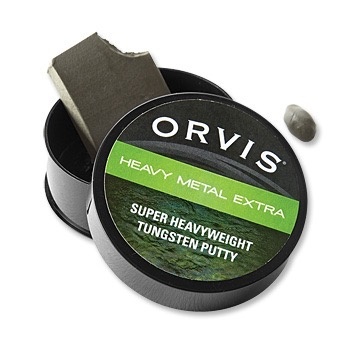 Immerse fishing line weight in water for ten seconds for the putty to cure and harden before casting. 25g per tub.